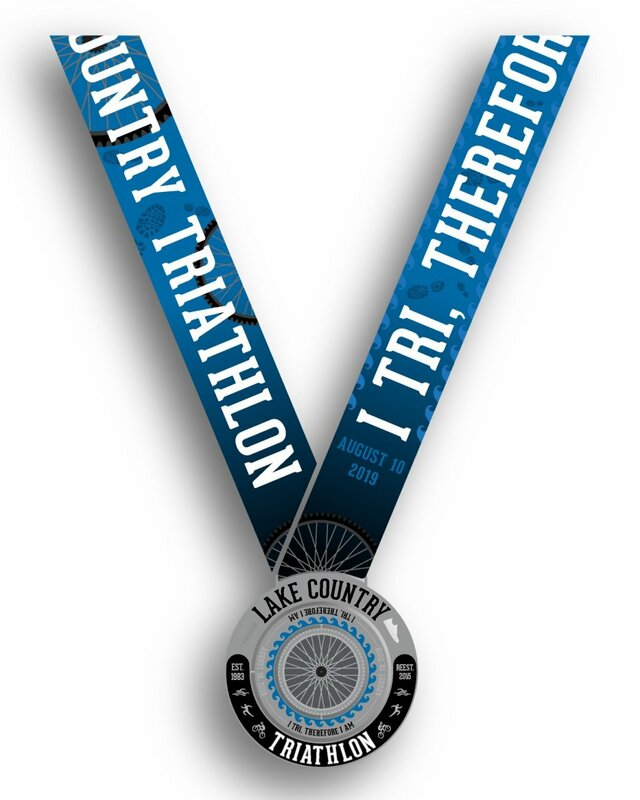 Started in 1983, the Lake Country Tri was one of the first and largest tris in Wisconsin. The race would sell out every year but eventually changed hands and disappeared in 1993. In 2015, Silver Circle Sports Events, LLC brought the event back and has sold out each year. For 2019, we added the half iron distance and removed the sprint distance. We have also added a warm up sprint and super sprint on May 18th - The First Thaw Tri. The course starts at Oconomowoc's City Beach on Lake Lac Labelle followed by a bike ride through Lake Country's beautiful countryside. The run is right down Wisconsin Avenue with athletes with spectators cheering you on. Final course designs are in the works and will be posted soon. Below are the draft course maps. The Lake Country Tri uses a time trail start. Elite athletes will leave at 6:30 followed by half iron distance athletes 2 minutes later. Athletes will be release from the beach every 3 seconds. Please stage according to your swim pace with fast swimmers up front. Olympic athletes will leave after the half iron athletes have made the first turn. The shirts are gender specific, dry wick and those registered noon August 1st are guaranteed a custom race shirt. After that, shirts be available while on line supplies last. Any extra shirts will be distributed after the race on a first come first serve basis. All finishers will receive a custom finisher medal. The tire and waves spin! Age group - medals for first, second and third male and female in 5 year age brackets. Everyone gets a finisher medal! Endurance House Foundations Run and Triathlon programs are back for 2019 and bigger than ever! If you're new to the sport or returning after a time away, then this is the best place to start back in the action! The Foundations programs are specifically designed around the novice and beginner athlete and jam packed with information and coaching to get you to accomplishing your goals successfully. Endurance House Delafield is conducting FREE swim, bike, run and transistion clinics. More Info & Registration. Pre Race Transition - There will be bike check-in the night before the event from 5:00 pm - 8:00 pm. You are strongly encouraged to stage your gear in transition at this time. Athletes must have their bib and cooresponding bike sticker on. The area will be secured and guarded overnight. Race DayTransition - Transition will open at 5:00 am and close at 6:15. Athletes must be body marked and have their race bib before entering or exiting transition. Only Athletes will be permitted in this area. Transition reopens once the final runner has left T2. Insurance is available for the event through a third party. Terms, conditions, and exclusions apply. Insurance benefits are underwritten by Jefferson Insurance Company. AGA Service Company is the licensed producer and administrator of these plans.